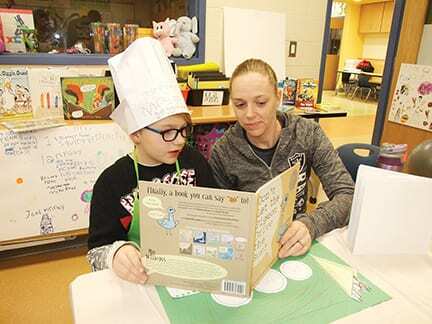 The second grade wing at Highland Park Elementary was transformed into a culinary institute on March 22 with an event to celebrate the variety of book genres that are out there, ready to be devoured. 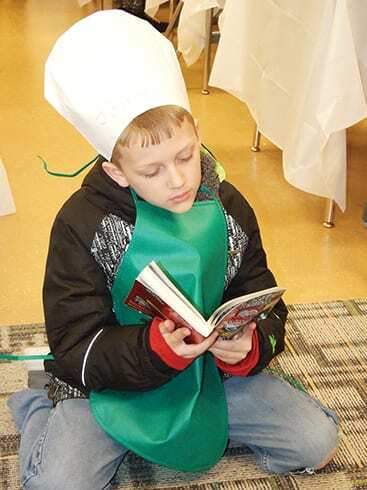 The Book Tasting, as it was called, was created by teacher Mary Payne to cap off the end of a six-week project that challenged students to read outside of their comfort zone via the introduction of non-fiction books and poetry books, as well as other fiction novels they otherwise might not have read. 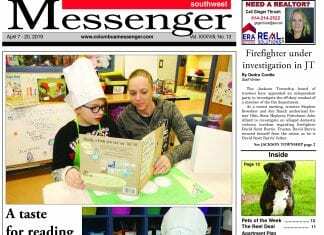 To showcase their knowledge, the students donned chef hats, aprons and created placemats in order to share their new literary delights with their parents and care-givers. Here are a few scene from the tasting event. Ashton Hartley reads a passage of “Don’t Let the Pigeon Drive the Bus,” to his mother Devon Hartley. 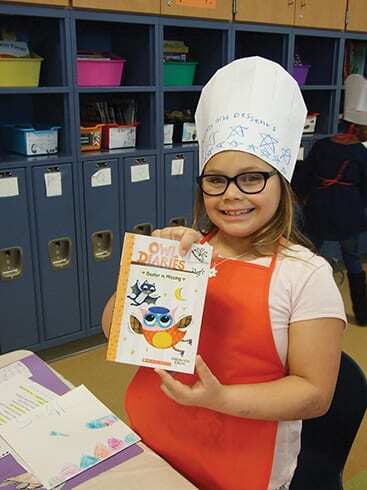 Bella Gurley, a newly minted 8-year-old chef, displays a book from her favorite series.